The head of Ukraine’s Jewish Committee has learned of a draft bill that might see fighters from Ukrainian nationalist groups rehabilitated. As it relates to people who committed mass murders, he believes the move goes against fundamental European values. The Ukrainian Institute of National Memory plans to legally rehabilitate members of several nationalist movements, including those from the Organization of Ukrainian Nationalists (OUN) and the Ukrainian Insurgent Army (UPA), the head of Ukraine's Jewish Committee, Eduard Dolinsky, wrote on his Facebook page. According to Dolinsky, the institute is now working on the draft bill, which will be introduced to Ukraine's parliament, the Verkhovna Rada, in February. To discuss the bill, its initiators have already met with Ukraine's Prosecutor-General, Yury Lutsenko, he added. Saying that the "dreadful" project might see fighters who took part in mass murders of Jews, Poles and Roma "automatically... declared not guilty," the activist added the bill might "open doors" for the future rehabilitation of Ukrainians behind some of the most notorious crimes of the 20th century. "This is immoral and denounces the foundation on which contemporary European civilization stands. This is just a killing of the memory of 6 million Jews who perished in the Holocaust," Dolinsky wrote, while also calling the project "intolerable." Director of the national memory institute, Vladimir Vyatrovich, has confirmed to RIA Novosti it is indeed working on the new rehabilitation bill. The current Ukrainian law, which was adopted in 1991, sees "a large number of people who fought against the Soviet government still not rehabilitated," Vyatrovich said, adding that his body seeks to change that "in regard not only to UPA." He also expressed his hope the Rada would consider the project. 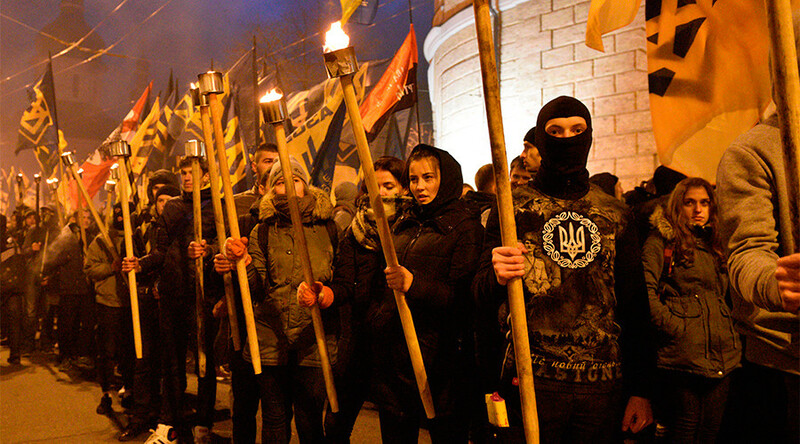 While some countries, including Russia, have repeatedly condemned Ukraine's attempts to whitewash the names of the nationalists who openly collaborated with the Nazis, there are a lot of supporters of the far-right movement in Ukraine. 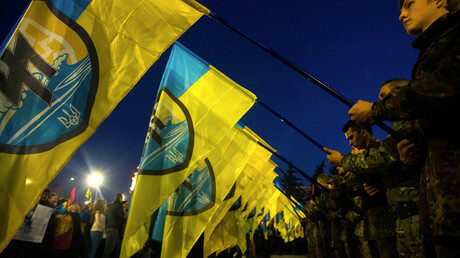 Its history books praise the OUN-UPA fighters' role in the country's history, while hundreds take to the streets in Ukrainian cities to mark birthdays of the movement's founder, Stepan Bandera. During World War II, Bandera's army worked in cooperation with the Nazi German forces and called on the Ukrainians to help the Nazis destroy Moscow. He headed the UPA in its fight against the Armia Krajowa of Poland and the Red Army in Western Ukraine. For this, he is lauded as a freedom fighter by Ukrainian nationalists. The Polish parliament in July passed a resolution which labels crimes committed by OUN-UPA against the Poles during World War II as genocide.